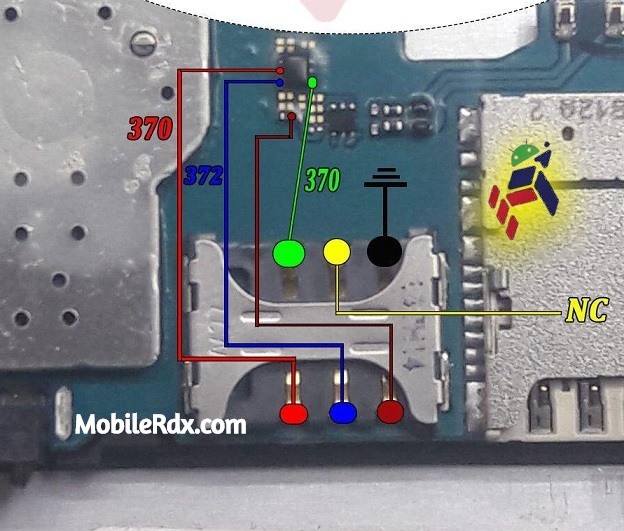 Here’s the full solution for Samsung Galaxy J3 J320H Sim Card Ways No Sim Card Problem solutions card problem that it does not accept or detect any SIM card being inserted into it. This solution shows the full line paths or connection tracks of the Nokia SIM circuit, from the SIM pin connector through to the SIM filter IC and to the innermost part of the main chips solder ball bumps. The No SIM card error problem in Samsung Galaxy J3 J320H usually occurs when your SIM card is not inserted properly. This is the most common reason for the error but it is not the only reason why your phone may show this error. No SIM card can mean problems with your device’s software too. There is a chance that the SIM card is inserted properly but your device is not reading it because of software corruption. It may also point towards your device’s inability to check for a network. The issue might also be due to SIM card IC. Check the voltage on the line as shown above and make sure everything produces voltage. If there is one line does not produce voltage then you have to make a jumper as shown above. If the four lines have produced a voltage then please try to insert sim card and turn on the cell phone. The solution above may help if having trouble finding the replacement for the flex ribbon cable, you may only need to apply a jumper wire on an opens line paths after tracing it. 1. Check the flex ribbon cable assembly. Replace if severely damaged. 2. 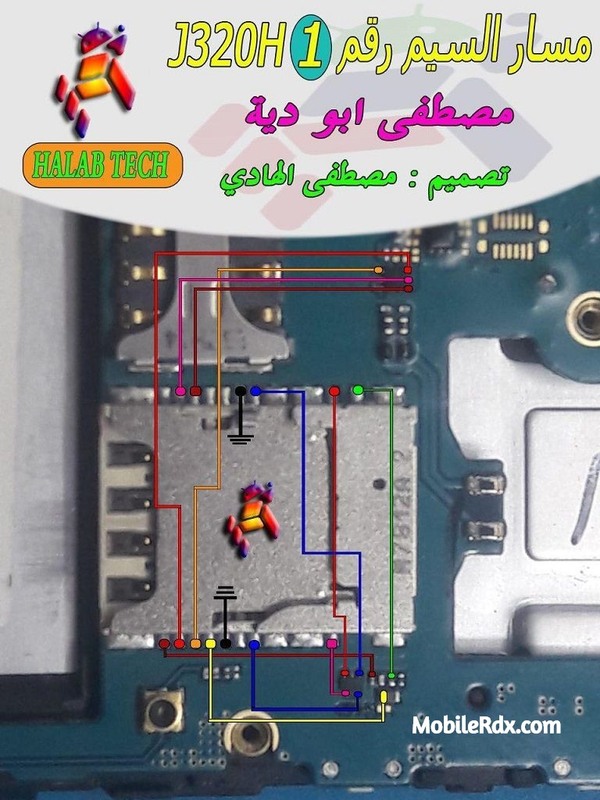 Clean the SIM slot and the flex pin connector. 3. Check the VSIM voltage across the 0 ohms resistor. Check/replace the resistor if damaged.